My thanks this week go to Laura’s Sweet Spot for this recipe. 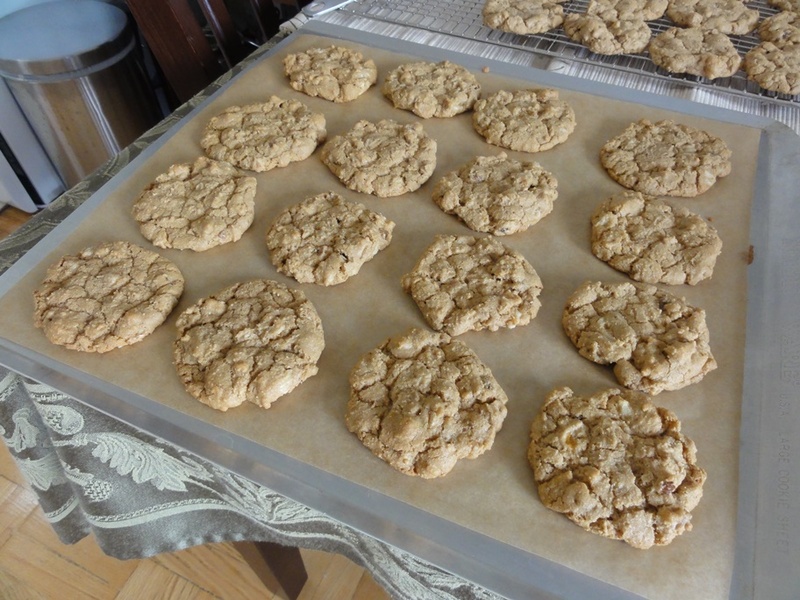 I had an inexplicable hankering the other day for maple walnut cookies and so I asked the internet for help and came across a number of options. 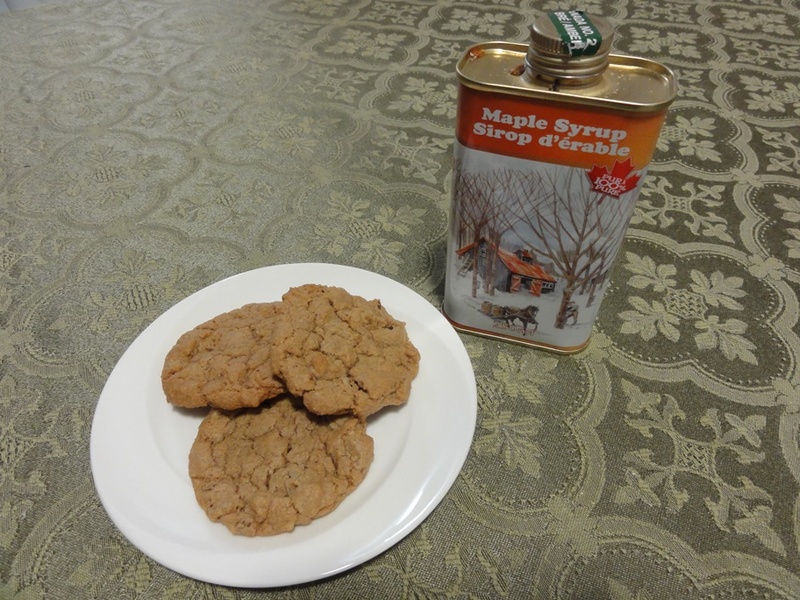 Some were “maple spice” cookies, others involved icing, but her recipe is straight-forward and simple and that’s what I was looking for. I was also completely taken by her statement that flavored pancake syrup is insulting to the maple trees – I couldn’t agree more! 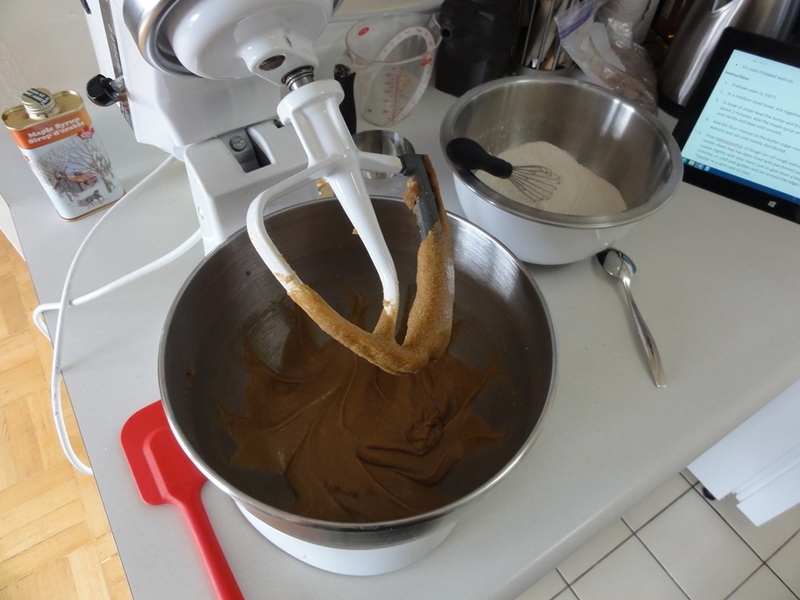 I made only three modifications to the original recipe: toasting the walnuts first, swapping in gluten-free flour as usual, and using vanilla extract instead of maple extract as I didn’t have any of the latter and my supermarket only had “imitation” maple extract, which is also wrong. The end result came out rather flat, but that’s happened to me on occasion when substituting gluten-free flour. Laura’s tip to refrigerate the dough might also have helped keep them together. That being said, they definitely fit the bill for a satisfying, chewy cookie. 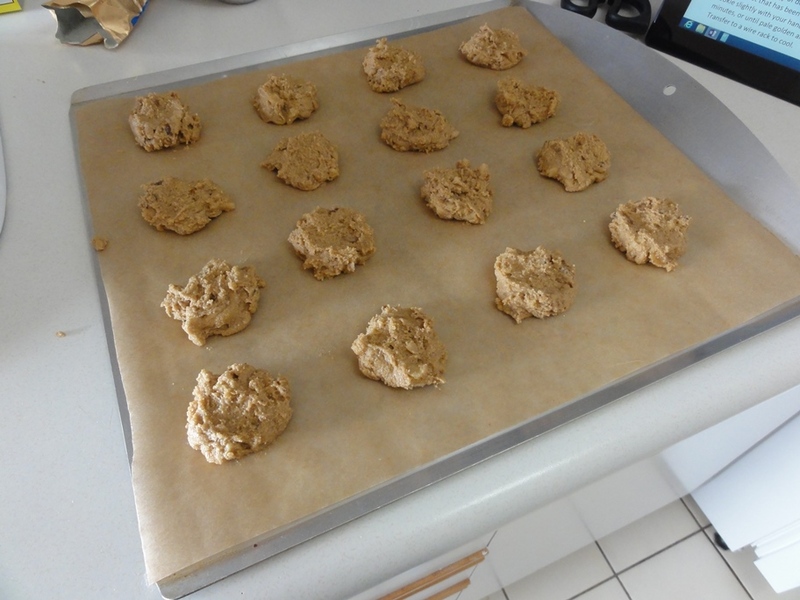 Preheat oven to 350°F and line your cookie sheets with parchment paper. 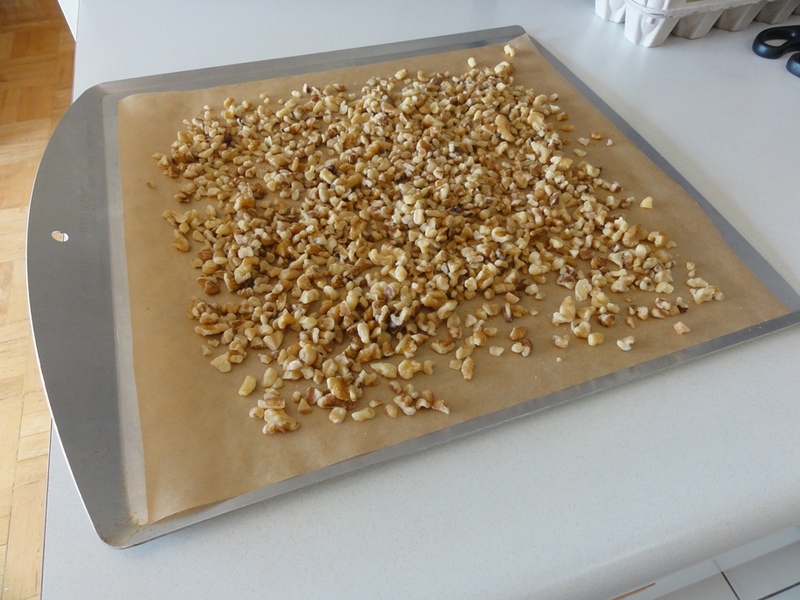 Toast the walnuts on parchment paper on a cookie sheet for 5-7 minutes. Whisk together the flour, baking soda, and salt and set aside. 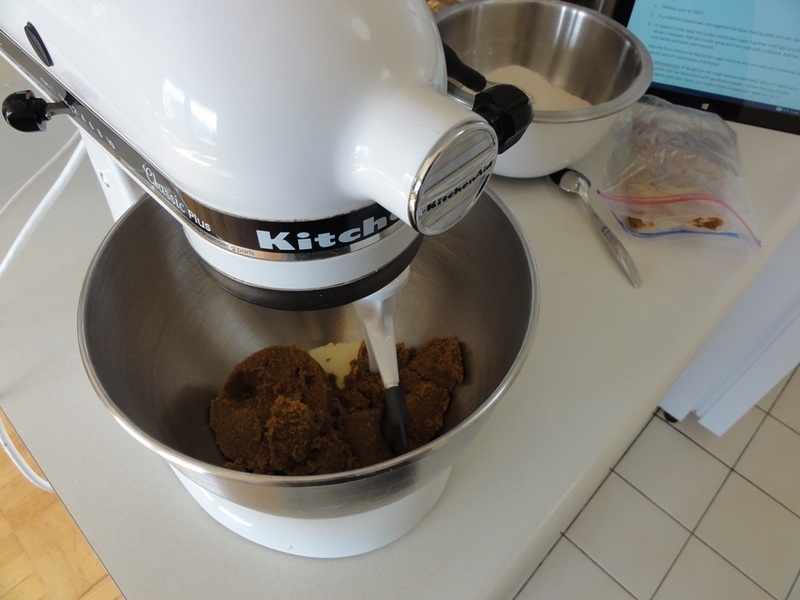 Combine the butter and brown sugar, beating for about 2 minutes until well combined. Add the maple syrup and mix until well combined, then add the egg and vanilla and beat until smooth. 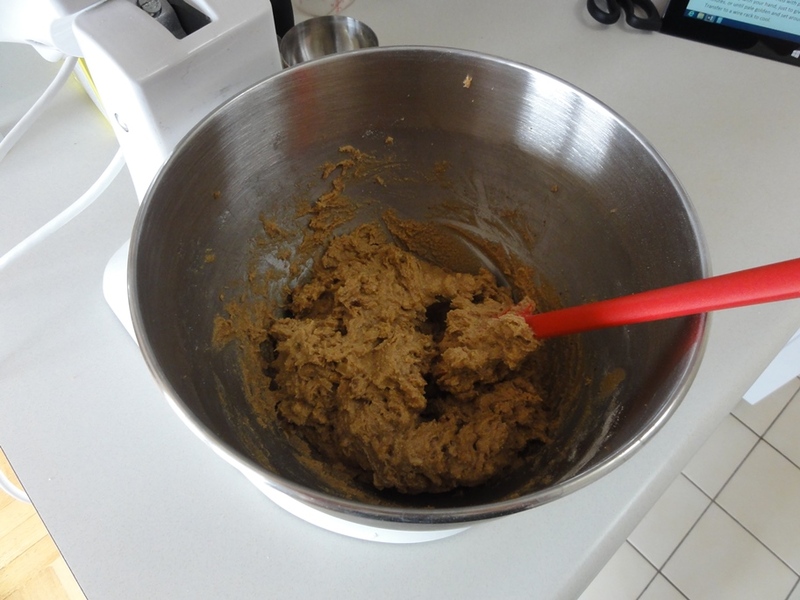 Add the flour mixture to the butter-sugar mixture and mix until just combined. The dough will be fairly thick at this point. Add walnuts and stir until evenly distributed. Drop tablespoonfuls of dough with ample room in between, in case they spread out like mine did, and flatten the top of each cookie slightly with the back of a spoon. Bake for 10-12 minutes, let cool on the sheet for 5-10 minutes, and then transfer to a wire rack to cool completely. 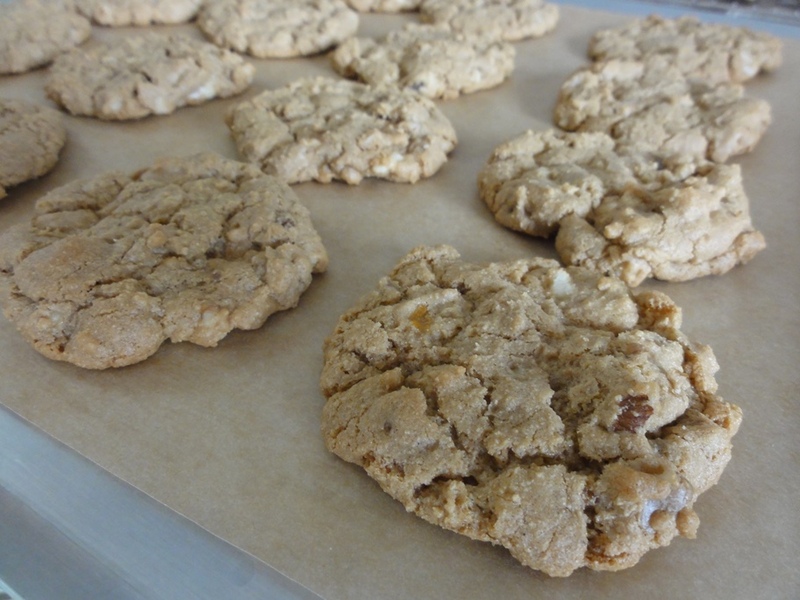 Pecans would work just as well as walnuts here, though then they wouldn’t be maple walnut cookies anymore. The same guidelines for toasting would apply, and those should just be considered mandatory in any recipe involving walnuts, pecans, hazelnuts, etc. Next time around I’ll definitely try popping the dough in the fridge for about an hour before baking. That technique has worked well in the past, particularly with an oat chocolate chip cookie recipe I’ll be putting up here in the near future. Five minutes in the oven at 350 is plenty to toast these up, and it’s worth it for that extra touch of flavor. The butter to sugar ratio is fairly low for this recipe, and I didn’t get a particularly fluffy outcome after a couple minutes of beating. It all turned out well in the end though, so as long as the two are well combined it should be fine. Once the maple syrup, eggs, and vanilla are in it becomes much easier to blend and work with. With everything together and waiting to be baked the dough is fairly stiff; this has the added bonus of making it easy to work with to get it on the tray. Give the cookies plenty of room; you’ll see why in the next shot. Sixteen deliciously chewy cookies waiting to be eaten! Don’t offend the maple trees; use the real thing!